Henry Cachard, an American citizen of French origin (his grandfather was called Felix de Chazournes), studied law in the United States. In 1883, he joined Coudert Brothers, an American law firm which had been established in New York for two generations. He was transferred to Paris as a partner in 1884 and became one of the senior lawyers of the Paris office. He was passionate about French law and he studied and passed a law degree, which enabled him to plead before the French courts. He was the first person to translate the French Civil Code into English. Despite a few imperfections, this was a reference work for American and British legal experts for a long time. In 1894, with his colleague from Coudert Brothers in Paris, Henry Peartree, he set up the Franco-American Chamber of Trade. This was based at the firm’s head offices in the rue Scribe until 1899. He was the Chairman of the Chamber of Trade in 1903 and 1904. He left his mark with the important efforts he made to encourage the adoption of a treaty to reduce French customs duties on certain technical American products. In addition to his career as a lawyer, Henry Cachard was passionate about golf. He was one of the founders of the Golf of Paris in 1901 (which later became the Golf de la Boulie), and was a long-serving member of the club’s committee. In 1911, he created the Saint-Cloud Country Club with a group of friends. Its aim was to develop five sports (golf, polo, tennis, croquet and squash). 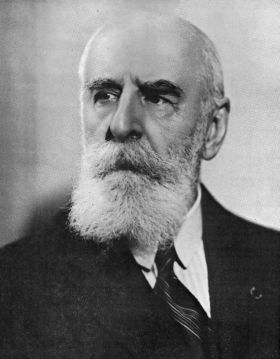 He was the Club chairman until his death in 1942 – the year in which a sports association was set up to take over the sporting, administrative and financial management of the club – under a tenancy agreement with the Saint-Cloud Country Club which would remain the owner and manager of the land and buildings.